Join us at our Shelby Township location for our FREE Fresh Start Workshop. 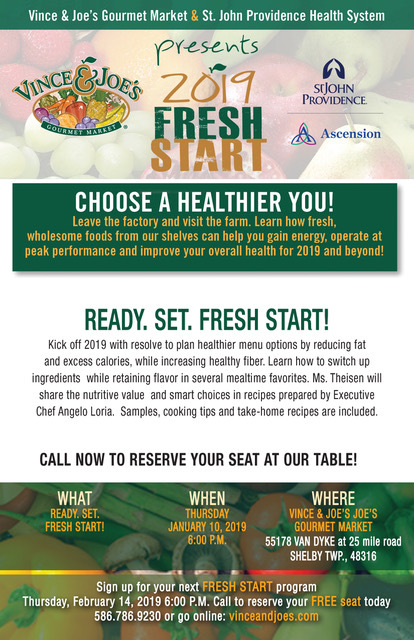 Executive Chef Angelo Loria and Ascension Health Systems Dietitian Beth Theisen will give some ideas as to how to make healthier food choices, while talking about what we eat and tasting some samples. Call to reserve your free spot at our workshop.